I’m delighted to be hosting Karen King as she embarks upon a blog tour for her new rom com, The Bridesmaid’s Dilemma. 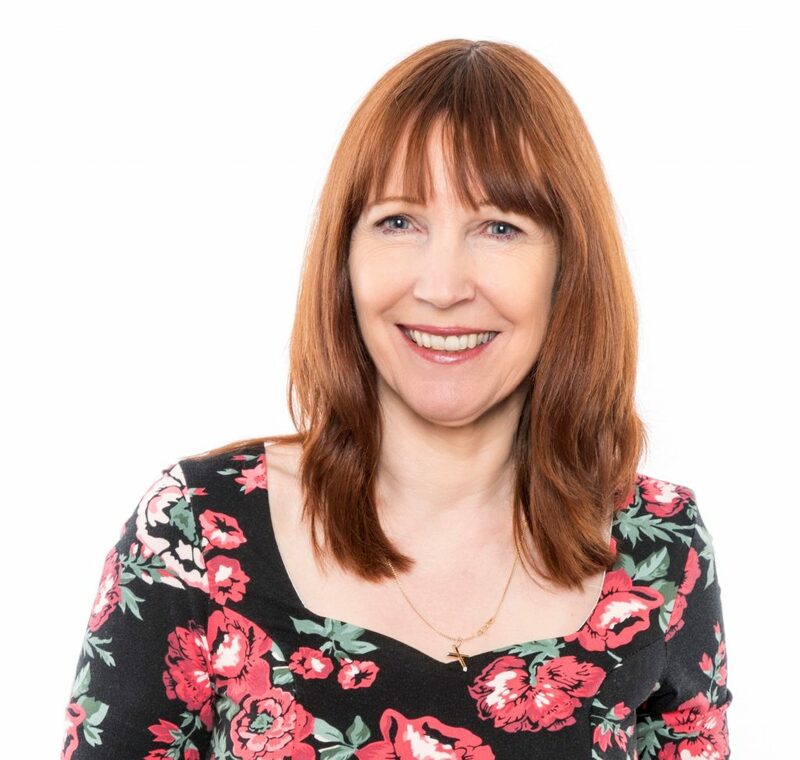 Why not settle down a enjoy the very beginning of Karen’s latest publication? Thanks so much for inviting me over, Jenny. 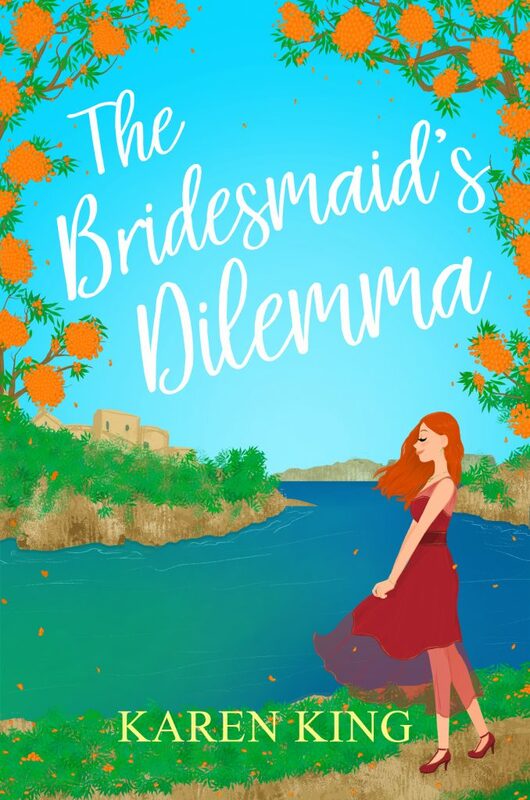 The Bridesmaid’s Dilemma is my third romcom for Accent Press and is mainly set in Majorca. Whenever I’m at a resort I always admire how the reps deal with the various holiday makers, the activities they do with them from poolside exercises, kids clubs and putting on shows. I was on the aeroplane once with a stag party, and they were quite raucous but seemed nice guys, so the idea of a travel rep having a holiday romance with a guy from a stag party that books into her hotel probably stemmed from these two things. The setting was definitely inspired by a trip to Majorca with my husband a couple of years ago to celebrate our third anniversary. It’s a beautiful island, and we actually took a trip to the Caves of Drach which feature in the novel. I really had fun writing this book and hope that readers love Jess and Eddie as much as I do. Will this bridesmaid get the happy-ever-after she never knew she wanted? Jess stretched out on the sunbed, factor fifteen and the parasol protecting her already golden skin from the heat of the afternoon sun. It was lovely to finally have the chance to relax by the pool. As usual, the morning had been full-on. She and Libby – lounging on the sunbed next to her – were in charge of the Fitness Classes and had spent two hours jumping, bending, stretching, and jogging on the spot with a group of holidaymakers. Being a holiday rep with Time of Your Life Holidays was fun but exhausting. Her first reaction when her cousin Charlotte had asked her to be chief bridesmaid was astonishment – she and Charlotte had never got on and usually tried to avoid each other. Her second reaction had been panic. She didn’t do weddings, or frothy dresses, and she knew that Charlotte, with her obsession for perfection, would be the bridezilla from hell. She couldn’t refuse though, not when she knew how much it meant to her mum. And so, Jess had reluctantly agreed, even though she suspected that she’d only been asked because Charlotte had no sisters and precious few friends – even the other two bridesmaids were sisters of her fiancé, Russell. ‘Charlotte “doesn’t approve of society’s obsession with social media.”’ Jess made finger quotes as she said the words. It would have been a lot easier to keep in touch with Charlotte if she was on Facebook – and if she was less of a nightmare person – but as it was, wedding-related messages were coming solely through email. Karen King writes sassy, heart-warming romance and edgy YA with a heart. ‘The Bridesmaid’s Dilemma ‘ is her third romcom for Accent Press. Her second title, ‘The Cornish Hotel by the Sea’ rose to #3 in the Amazon Bestseller Holiday Charts in the UK, #2 in Australia and was in the top hundred overall bestsellers. Her first title, I do?… or do I? has recently been published in France under the title ‘Un Fiancé Inattendu’. In addition, Accent Press have republished her earlier romance novels, ‘The Millionaire Plan’ and ‘Never Say Forever’. Karen has also written several short stories for women’s magazine and had 120 children’s books published. She started her writing career writing scripts and articles for Jackie and other teen and children’s magazines.